Visitor Insurance most commonly refers to international travel medical insurance plans designed for international travelers visiting the United States of America. These plans are perfect for non-U.S. citizens who have domestic health insurance, but aren’t covered outside of their home country. Specifically, in the United States, healthcare costs are much higher than the rest of the world, and an unexpected illness could result in you owing thousands of dollars. 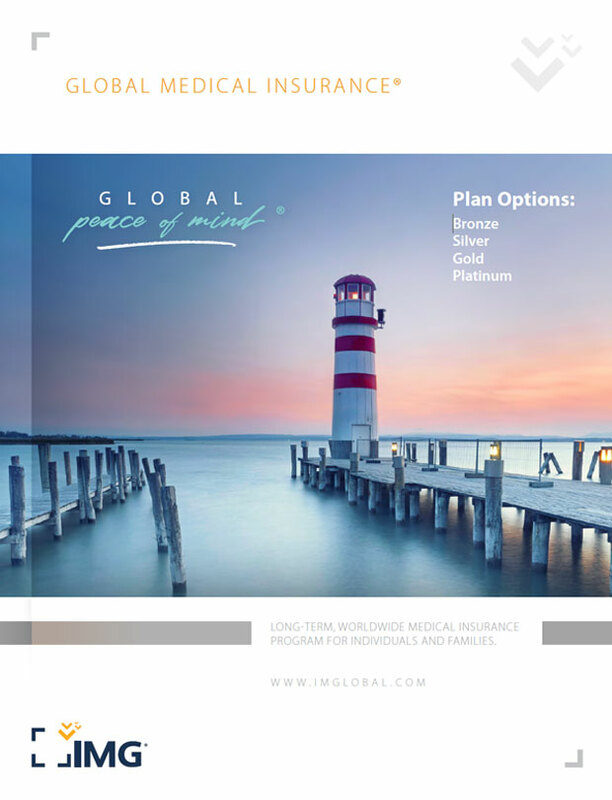 IMG’s visitor insurance plans provide coverage for new medical expenses, multilingual customer service experts, hands-on healthcare coordinators available 24/7 and online resources to make traveling internationally less stressful. Visitor Insurance plans are excellent for visiting family members or friends, vacationing, taking a short business trip, or any reason that you may find yourself in the U.S. Choose IMG and let us take care of you while you’re away from home. Insured person’s country of residence is not the U.S. Emergency Dental Treatment $300 maximum limit due to accident or unexpected pain to sound natural teeth. Terrorism Up to $50,000 lifetime maximum. Not subject to deductible. Acute Onset of a Pre-existing Condition - Medical (Patriot International Only) U.S. citizen up to age 65 with primary health plan: Up to maximum limit. U.S. citizen up to age 65 without primary health plan: $20,000 lifetime maximum. U.S. citizen age 65 to age 70: $2,500 lifetime maximum. Non-U.S. citizen up to age 70: Up to maximum limit or $500,000 - whichever is lower. Walk-in Clinic $15 co-pay. Co-pay is not applicable when the $0 deductible is selected. Hospital Indemnity Up to $100 per overnight up to a maximum of 10 overnights. Not subject to deductible. Common Carrier Accidental Death $50,000 per insured person and $250,000 Maximum limit per lifetime and per Family. Not subject to deductible. Accidental Death & Dismemberment $25,000 principal sum. Not subject to deductible. Identity Theft Assistance Up to $500. Not subject to deductible. Trip Interruption Up to $5,000. Not subject to deductible. Lost Luggage Up to $50 per item; maximum of $250. Not subject to deductible. Treatment at a hospital due to an accident Up to the period of coverage maximum limit. Subject to deductible and coinsurance. Additional treatment for the same injury rendered by a dental provider will be paid at 100%. Evacuation Benefits Not subject to a deductible or coinsurance. Additional Benefits Not subject to a deductible or coinsurance. Temporary first-class health insurance for individuals, families and groups when traveling outside of your home country. A long-term (1+ year), annually renewable, comprehensive worldwide medical insurance program for individuals and families. Annual multi-trip travel medical insurance for individuals, families and groups. Is Visitor Insurance Required in the U.S.? Visitor insurance is not required to travel to the U.S. on a B-2 visa. However, healthcare costs in the U.S. are often higher than those in other countries, so not having the proper coverage could leave you to pay thousands of dollars for any necessary medical care. Purchasing visitor insurance is also a very simple process as no medical exam or medical history review is necessary to get coverage. These plans are designed to protect you from unexpected illnesses or injuries that occur while you are traveling, thus your past health history is not needed. For answers to any other visitor insurance questions, check out the most frequently asked visitor questions. How Much Does Visitors Insurance Cost? 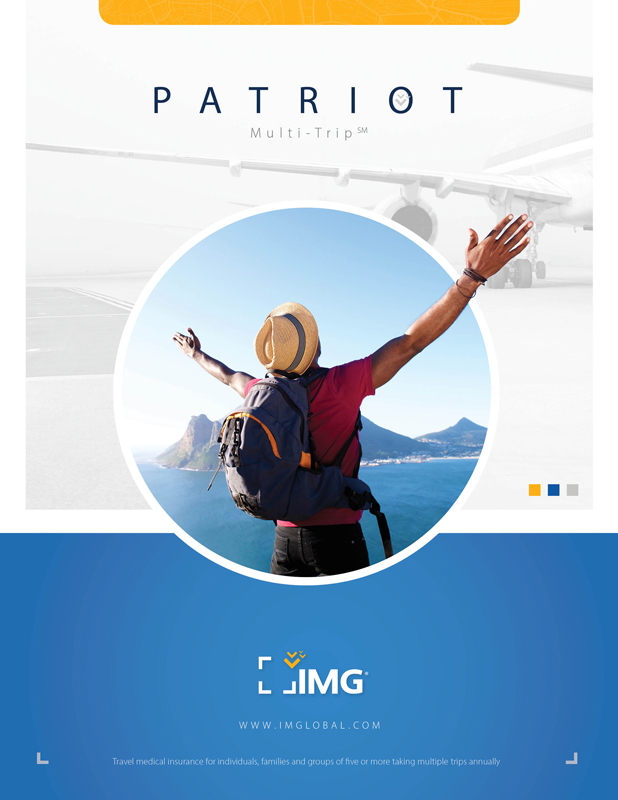 IMG’s most popular visitor insurance plan, Patriot America Plus, offers excellent coverage at a competitive price. There are also other product tiers that vary in price depending on your budget and level of benefits. 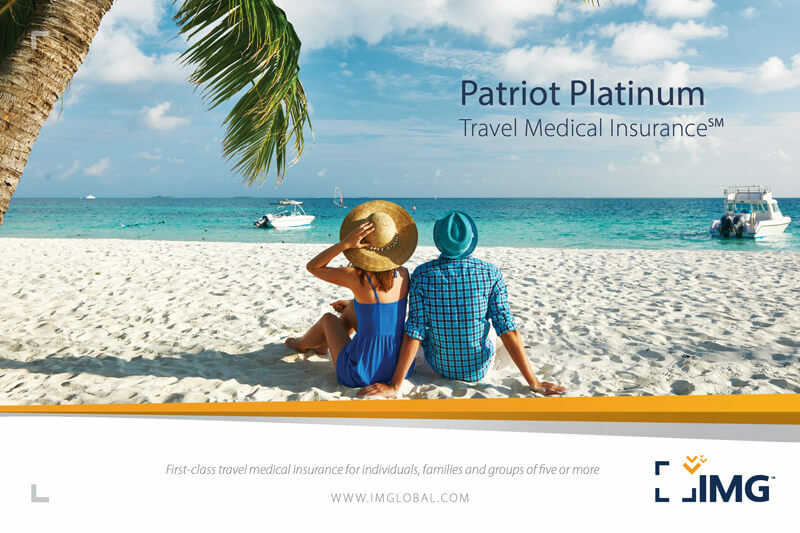 Patriot Platinum Insurance provides the highest level of coverage, while Visitors Care provides a lower priced option with limited benefits. Or you can choose your own visitor insurance plan. Old and young visitors alike can find a visitor insurance plan that fits their needs. While premiums become more expensive for older travelers due to increasing risks of health problems, there are still many varying price levels available to fit in your budget. Visiting the United States will result in a higher premium than if traveling to another part of the world due to the high costs of medical care in the country. 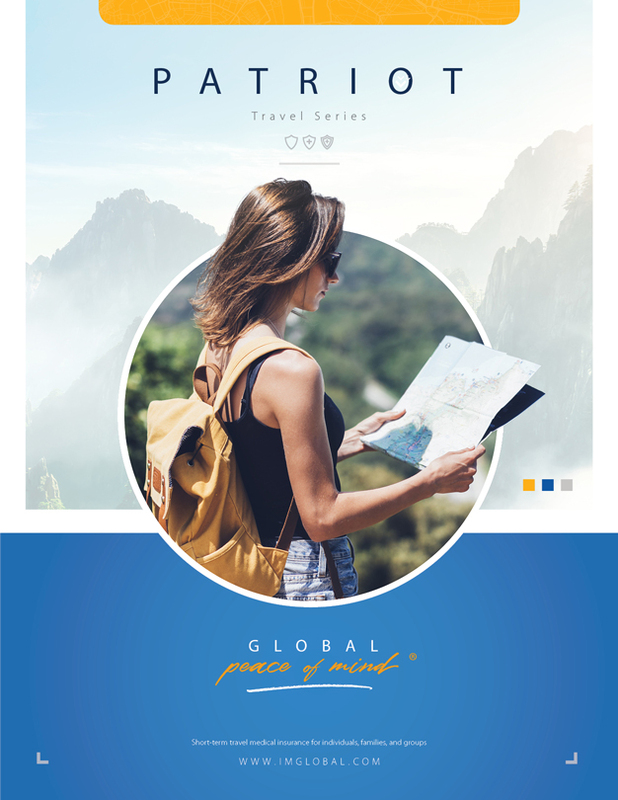 View the breakdown of daily and monthly rates in the Patriot America Plus brochure to get a better idea of how much you can expect to spend for coverage during your trip. For any trip longer than a year, you may also want to explore our international health insurance options. Higher maximum limits and lower deductibles will increase your plan costs. Consider how much you could afford in addition to your deductible if something unexpected were to happen while you’re away when choosing the right options for you. What Does Visitor Health Insurance Cover? In the event of an emergency medical evacuation, coverage provides evacuation to the nearest qualified medical facility and expenses for reasonable transportation resulting from the evacuation. Coverage for medically necessary expenses resulting from new or unexpected injuries or illnesses including local ambulance, intensive care, emergency room, and more, if needed. Should a covered illness or injury unfortunately result in death, this benefit provides coverage for repatriation of bodily remains or ashes to your home country; or for the preparation, local burial or cremation of your mortal remains, at the place of death. This benefit, provides you coverage in the event of a sudden and unexpected outbreak or recurrence of a pre-existing condition which occurs spontaneously, after the effective date, and prior to the age shown in your schedule of benefits. Chronic or congenital conditions that worsen over time are not considered to be an acute onset. *This is a summary of a selection of plan benefits offered only as an illustration and does not supersede in any way the Certificate of Insurance and governing policy documents (together the “Insurance Contract”). The Insurance Contract is the only source of the actual benefits provided. Can I purchase visitors insurance for my relatives? Yes, the insured does not have to be the one that fills out the application. You can purchase a travel medical plan for your parents, friends, or relatives as long as you have the necessary information. Does my credit card or domestic medical insurance policy cover my travel expenses? Your credit card or domestic insurance may cover you in some instances, but few plans are as comprehensive as travel insurance. It is best to check all of your existing insurance policies before traveling abroad so that you're aware of how you're covered. I am a non-U.S. citizen that will be traveling to the U.S. temporarily. Do I need PPACA coverage? Individuals not residing in the U.S.
Non-U.S. citizens who are “non-resident aliens” (for U.S. income tax purposes). See Am I a Resident or Non-Resident Alien? 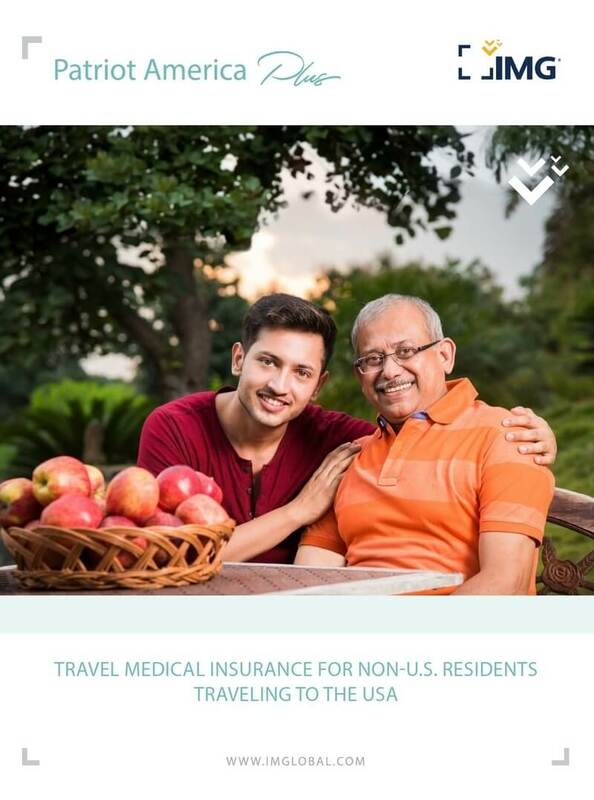 You will not need PPACA coverage for short-term travel to the U.S., unless you are considered an “alien lawfully present” in the U.S. See I am a Non-U.S. citizen covered under a Global Medical Insurance Plan. In general, PPACA does not govern short-term limited duration insurance, like IMG’s short-term travel medical insurance programs. However please understand that under PPACA, as of January 1, 2014, extensions of short-term coverage will be limited to less than 12 months to meet the definition of a short-term limited duration plan. The "Patient Protection and Affordable Care Act," commonly known as PPACA, was first introduced as a measure to deal with rising healthcare costs and numbers of uninsured. The heart of PPACA consists of three provisions: guaranteed issue (insurers must offer coverage regardless of the applicant's health status or pre-existing conditions), community rating (insurers must offer policies within a given territory at the same price regardless of health status, age, gender, or other factors), and an individual mandate. The individual mandate assures that everyone has a minimum amount of coverage: those above a certain annual income are required to purchase coverage or incur a tax penalty; those who cannot afford it will have their coverage paid for by the government. As PPACA continues to be implemented and challenged throughout the country, understanding the issues and implications for the international insurance industry and your business becomes all the more important. My family is planning a visit. When should visitors to the U.S. purchase international insurance? Visitors should plan to get insurance after they plan their trip and receive their visa, but before they arrive in the U.S. The effective dates for coverage should match their visa. I already have health insurance. Why would I need Visitor Insurance in the U.S.? If you were to suffer an injury or get sick while visiting the United States, you might be surprised by the cost of medical care. You may also be surprised by the limited assistance your domestic insurance provider can provide while you're visiting. 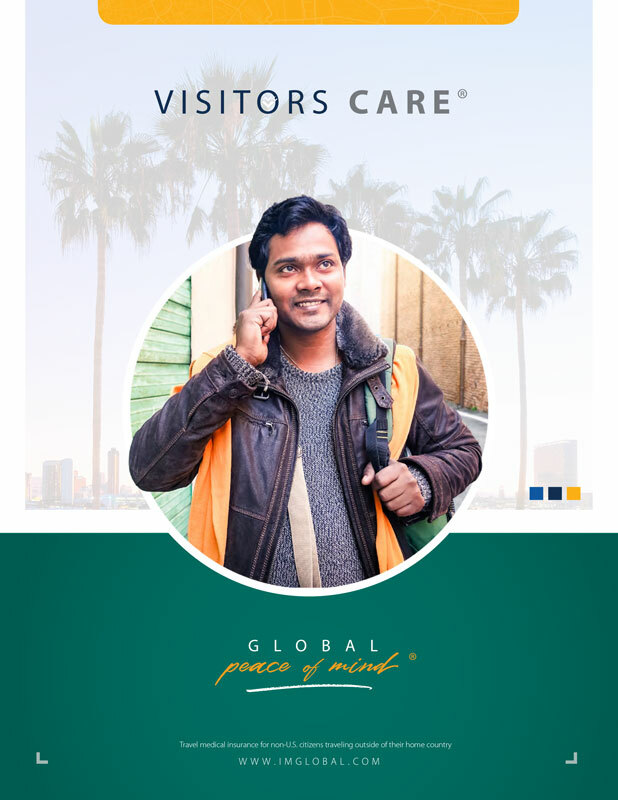 Visitor insurance coverage in the U.S. helps to ensure that you don't incur any unforeseen expenses, receive excellent care, and get home quickly and safely if anything were to happen during your visit.